One can find many articles written about what qualities, skills and physical readiness a pilot should have, but are those criteria always fundamental in determining whether someone is suited to become a pilot? 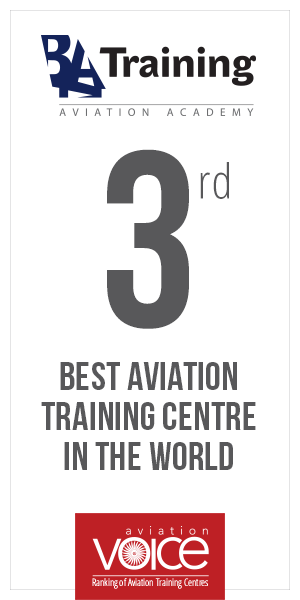 Baltic Aviation Academy has already trained over 15000 aviation professionals from different parts of the world and has a great experience in candidate entry process, where all the candidates undergo various tests to check their skills. As in any other profession, some of the candidates are more talented and come with their own baggage of relevant knowledge, some not, but does that mean that the former are more capable of becoming pilots than the latter ones, who discover the dream later in their lives? Let’s kick-start this discussion with a few examples. In reminiscence of the air crash, now known as the “Miracle on the Hudson’’ which happened on January 15, 2009, we could clearly say, that pilots are not made but born only. The hero captain Chesley “Sully” Sullenberger, the pilot of the US Airways Airbus – after both of the aircraft engines had failed, made a split-second decision to attempt a water landing to avoid a possibly “catastrophic” crash in Manhattan. “Obvious to me…this was a critical situation,” said the Hudson River Plane Crash Pilot. He probably did his job better than anyone in the world could have done – even in such a stressful situation he managed to remain 100% professional, calm, cool and collected. This accident perfectly supports the position of those, who believe that a pilot must have some sort of a congenital personality features, as even the highest level of professional knowledge and long ranging experience in aviation could not have worked if the pilot hadn’t stayed calm and concentrated. But let’s look at another example – Jessica Cox (1983, Arizona) – the world’s first pilot ever to fly a plane by using only her feet. Jessica Cox was born without arms but that didn’t stop her from achieving her life-long dream of becoming a pilot. On the contrary – that has only stopped her from doing the one thing: using the word “can’t.” At the age of 25 Cox soared to achieve a Sport Pilot certificate. With one foot manning the controls and the other delicately guiding the steering columns Jessica has proven it: “Nothing is impossible to a willing heart.” She is a great inspiration and a clear example that even if you do not have some qualities or skills to become a pilot, you still have the chance to do it. So, if you had ever dreamt of becoming a pilot and stopped yourself just because of the lack of knowledge or because somebody said that you were not strong enough to do it – just imagine how the Jessica’s friends’ reaction when she announced her decision. So, what could be the right answer to this question? Baltic Aviation Academy has asked aviation experts and professional pilots-instructors to share their opinions with regard to the issue and one of the instructors with 25 years of experience in aviation has said: “To become a pilot is not a big task – everybody can do it. But then there is the question of whether one can become a truly good professional pilot. The answer is really simple – you have to love what you do and there must be nothing in the entire world that could stop you. Love can’t be produced, it can only be born with.” So, the final decision is in your hands only – you can use your skills to achieve any goal you want, but the main goal of life is to know what you want to achieve.